With 40 years of experience, Greg concentrates on the representation of public agencies in a wide range of government law areas, including land use, elections, local taxation and development fees, telecommunications and community choice aggregation. Working for cities throughout California has given Greg a broad perspective and understanding of the legal needs of a wide range of communities. Greg serves as City Attorney for the Cities of Fairfield and Mill Valley, as General Counsel for the Marin Telecommunications Agency, the San Francisquito Creek Joint Powers Authority, the Silicon Valley Clean Energy Authority, and the California Statewide Communities Development Authority. He also serves as Special Counsel to Marin Clean Energy. He previously served as City Attorney for the Cities of Agoura Hills, Beverly Hills, and Seal Beach. Greg has spent his entire legal career at RWG since he was a summer associate in the summer of 1976. He has served on many firm committees, including the Management Committee. 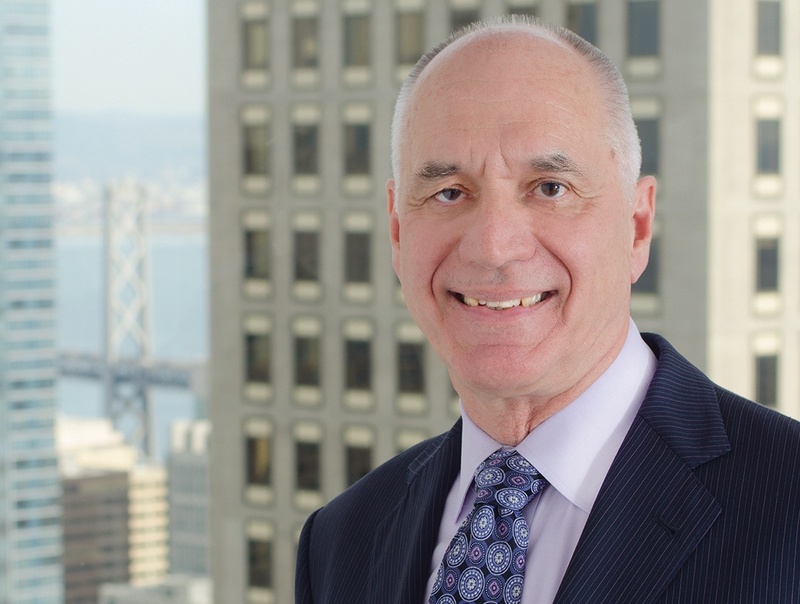 Greg was the chair of the Management Committee for four years before he opened the firm’s San Francisco office in 1997. He continues to be the managing shareholder of the San Francisco office. Marin Clean Energy Formation. Greg provided legal guidance and drafted the formation documents for the establishment of Marin Clean Energy, the first community choice energy program for electricity service in California. The key concern in forming this joint powers authority was whether its individual members could be liable for the significant contractual obligations of the authority under its power purchase agreements. Greg developed multiple layers of liability protection to insulate the members of the authority from the authority’s debts, liabilities, and obligations in conducting its community choice aggregation program. The legal structure of Marin Clean Energy has become the model for other community choice energy programs conducted by joint powers authorities in California. Silicon Valley Clean Energy Formation. Greg assisted in the formation of the Silicon Valley Clean Energy Authority, another community choice energy program, which is made up of the County of Santa Clara and eleven cities in this county and continues to serve the authority as General Counsel. San Francisquito Creek Flood Control and Creek Restoration Project. Greg has been providing on-going advice to San Fransciquito Creek Joint Powers Authority on the planning, environmental review and construction of major flood control and creek restoration projects, including working with member agency legal counsel and staff on the preparation of local funding agreements made necessary by the delays and uncertainty in federal funding. Greg also assisted the authority on a very contentious permitting process for its initial project with the San Francisco Bay Regional Water Quality Control Board. Marin Telecommunications Agency Cable Franchise Agreement. After negotiating many cable franchise agreements for cities dating back to the early 1980’s, Greg negotiated one of the last local cable television franchises in California for the Marin Telecommunications Agency, made up of ten cities and towns and the County of Marin. The negotiation of this franchise agreement extended over six years with multiple cable franchisees. The final agreement with Comcast featured a very advantageous and unusual provision providing for $3.6 million in upfront funding for a local media center and institutional network upgrade. This upfront funding resulted in the creation of a very successful media center located in downtown San Rafael. Stanford University Community Plan and General Use Permit. Back in 2000, Greg provided legal guidance to the County of Santa Clara on the development of the community plan and general use permit for the future development of the fast growing Stanford University campus. Prior to this time, there was a lack of comprehensive land use regulations for the extensive Stanford lands. The land use approvals in 2000 provided for several innovative measures such as an Academic Growth Boundary to protect open space lands from academic development and housing, a housing linkage program and significant traffic and sustainability mitigation measures. Although there were threats of litigation over the adoption of the community plan and general use permit, measures were developed to address community concerns that in the end resulted in no lawsuits being filed. Recently Greg was again retained by the County of Santa Clara to provide advice on a new general use permit that will govern Stanford development until 2035. Fairfield Urban Limit Line. Greg worked closely with the City of Fairfield on a comprehensive update to its general plan that resulted in the establishment of an urban limit line to prevent urban sprawl into adjacent agriculture and open space lands and areas incompatible with the operations of Travis Air Force Base. Greg assisted the city through both initiative and referendum measures and a well financed effort to challenge the EIR for the general plan update. This all resulted in no litigation against the city and a general plan based on smart growth principles that has encouraged substantial in-fill development. As part of the updated general plan implementation, Greg worked on three complicated development agreements for large master planned developments that include both residential and commercial development and new parkland and open space preservation. Academy of Motion Picture Arts and Science Library in Beverly Hills. Greg negotiated on behalf of the City of Beverly Hills a settlement of litigation concerning the proposed demolition of an historic water treatment plant located in a city park. This settlement provided for the preparation of a reuse study that resulted in the Academy of Motion Picture Arts and Science deciding to lease and renovate the building for its motion picture library which is the largest film related library collection in the world. Greg negotiated the deal points for the lease that resulted in the reconstruction and preservation of this historic building as a film library that for the first time was opened for use by the public, all at no cost to the city. Incorporation of the City of Agoura Hills. Greg assisted in the incorporation of the City of Agoura Hills in 1982 and became its first City Attorney. He worked with the city in preparing and adopting its initial general plan and municipal code and drafted a number of land use ordinances that were innovative at the time, including a traffic mitigation fee ordinance before the adoption of AB 1600 and oak tree preservation and hillside protection ordinances.